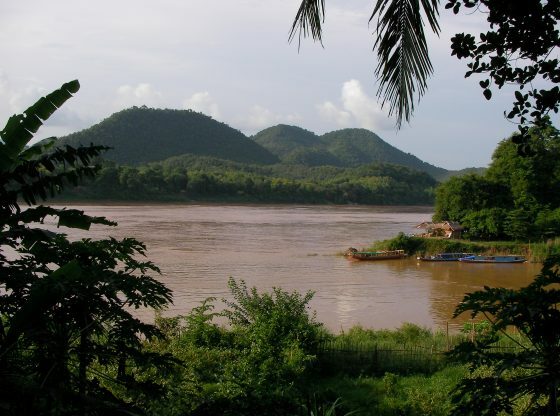 The Mekong is Southeast Asia’s longest river and the twelfth-largest in the world. It originates in Tibet, flows through the Chinese province of Yunnan, and continues southward across or alongside Cambodia, Laos, Myanmar, Thailand and Vietnam – half of ASEAN’s ten member states – before flowing into the South China Sea. The five ASEAN countries and the Chinese provinces of Yunnan and Guangxi, spanning some 2.6 million square kilometres and 326 million people, constitute the sub-regional grouping called the Greater Mekong Subregion (GMS). Soon after the Cold War ended, a window of opportunity for reconciliation opened on the formerly war-torn Southeast Asian mainland. Since 1992, and for more than a quarter-century thereafter, the Asian Development Bank (ADB) has been helping the six participating countries cooperate in the development of the GMS by funding projects in the fields of transportation, energy, telecommunications, trade, investment, education, environment and many other sectors. The GMS has emerged as one of the most effective schemes in terms of facilitating cooperation among states that had previously been prevented from engaging in meaningful economic and political exchanges – in this case as a result of the confrontational structures of the Cold War. Besides all this, during the last decade China has transformed from a mere participant in the GMS to being its most active and, as some note, dominant member. Unlike China’s unilateral, state-led Belt and Road Initiative (BRI), the GMS programme for facilitating and expanding the movement of goods and people across the sub-region’s borders is multilateral and has taken a more market-based approach to building and improving regional infrastructure. In China’s discourse on the BRI the GMS has taken centre stage. The landlocked Yunnan Province, until recently a remote and backward province of China, has now emerged as a New Silk Road hub and as China’s strategic bridgehead into mainland Southeast Asia with the ultimate goal of connecting it to the Bay of Bengal and the wider Indian Ocean region. However, Beijing’s interest in enhancing connectivity in the Mekong sub-region pre-dates the BRI. In 2010, China signed a preliminary agreement with Laos and Thailand to build a high-speed railway from Kunming (Yunnan) to Bangkok that could eventually extend through peninsular Malaysia to Singapore. The section that China would build through Laos would be financed through Chinese loans then worth US$7 billion – a sum larger than the entire country’s GDP. In the course of further plans, negotiations, disagreements and delays, the proposed railway from Singapore to Kunming broadened – on paper – into a larger network. A stem from Singapore to Bangkok would open into three separate lines north of the Thai capital, each of them ending in Kunming: one through Myanmar, another through Laos, and a third through Vietnam. In 2014, the authorities in Myanmar cancelled the US$20 billion project to build the western branch of the railway through their country due to growing public resistance to Chinese influence. Ironically, this pushback was partly enabled by an earlier relaxation of repressive rule. Nonetheless, it did not deter Beijing. Since 2015 China has also been pushing a proposed railway linking Kunming to Kolkata via Mandalay that would require the support of the three countries en route: Myanmar, Bangladesh and India. China’s enthusiasm for regional infrastructure is both economic and strategic in character. The proposed linkages would convey Chinese goods to foreign markets, bring needed resources into China, and speed the development of relatively poor Yunnan. Already since 2015, pipelines have been funnelling oil and gas from the Bay of Bengal through Myanmar straight to Kunming. Further, this infrastructure link de facto amounts to an insurance policy against the possible closure of the Malacca Strait – the so-called Malacca Dilemma. The Myanmar-Yunnan rail connection would open this southwestern backdoor for trade and transport even wider for Beijing’s compensatory use should a hostile power ever block China from using the South China Sea. Concepts such as the ‘Mekong Mode’, depicting a naturally given and regionally accepted Chinese pre-eminence in the Greater Mekong Subregion, evoke a sense of newly won self-confidence and send a strong signal to the outside world that China is able and willing to provide leadership in Southeast Asia. Leadership in international relations can only emerge and be institutionalised if the dominant regional power is willing and able to assume the responsibilities associated with it. Another precondition for regional leadership is being acceptable as a regional leader in the eyes of the medium and small powers. China’s approach to the GMS has strengthened Beijing’s quest to lead and demonstrates that the country possesses both the economic resources and the political will to assume this regional leadership role. However, while the acceptance of a prominent Chinese role in the GMS and the wider Southeast Asian region has grown within the region itself, ASEAN governments – albeit to varying degrees – are not yet prepared to put all their eggs in the China basket at the expense of weakening their respective relations with the United States, Japan and, to a lesser extent, the European Union. Given that all these international actors are also important stakeholders in the GMS sub-region, a regional Pax Sinica is not (yet) on the horizon. Dr Joern Dosch is Chair of International Politics and Development Cooperation at the University of Rostock. Image Credit: CC by Mikel Lizarralde/Flickr. ASEAN nations, especially Malaysia and Indonesia, are increasingly concerned with China’s “debt trap” diplomacy and it’s intolerable human rights abuses.